Let’s just imagine a scenario where you felt like you had so much to do that the only way to get through it was to sit down every possible second you could and bang it out. Um, yeah, Kate, it’s called my LIFE. I hear you. I really do. My work hours are feeling particularly finite at this stage in my life when the kids’ bus leaves at 8:15 and returns home at 4. I get coverage a couple afternoons a week and do often work an hour after they have gone to bed or on a weekend. But I have to think pretty carefully about taking new stuff on in regards to where in the week it will fit. This is all a long way of saying that I don’t take the idea of telling you do something in addition to what you’re already doing lightly. What’s most important to work on? What feels good to work on? What’s my intention for the work that I do–what result do I want to create? 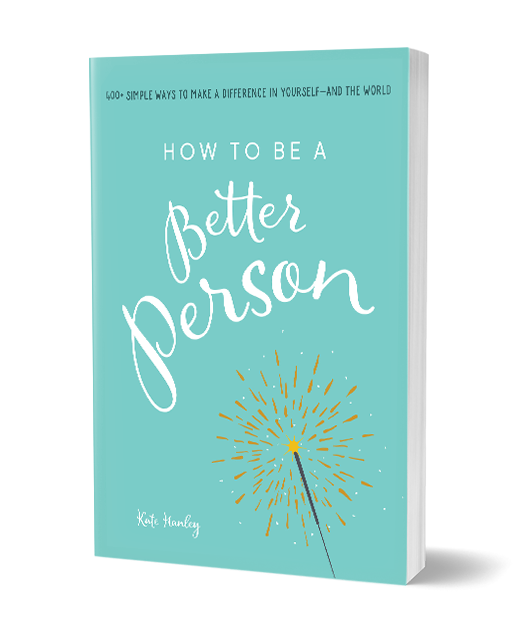 What’s my intention for myself–how do I want to be in order to bring my best? Sometimes the answers to the first two questions will match up; sometimes they will be wildly different. It’s all OK.
Visualizing blazes a trail that then you only have to follow, as opposed to bushwhacking your way through it all. Don’t believe that visualizing is all that powerful? I read an interview with Michael Phelps recently where he talked about how his pre-meet strategy was to sit and visualize each race. Some he’d see going perfectly, some he’d imagine something going wrong but still winning anyway. (So that’s what he was up to when he had that mean look on his face!) He also said it helped him during a race when his goggles filled up with water. He’d already visualized what he would do if that happened, so it didn’t slow him down a bit. In fact, he set a world record that race. It can help you glide through all obstacles too! 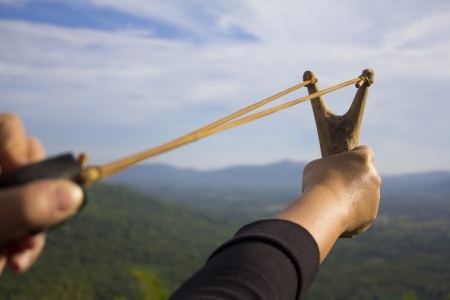 This quick little ritual is a lot like a slingshot—when you step for a moment out of the stream of “getting things done” to do some reflecting, it may seem like the world is moving forward without you, kind of like the way the rock in a slingshot appears to move backward when you draw it back as you get ready to fire. But these three minutes will help you see, really see, what your top priorities are. It will also help refresh you enough that when you go back to get ‘er done mode you will make great progress on the most important things on your list. And that is motivating, which makes every other thing you do go more easily. Also, you no longer have to piddle around doing little time-wasters because you’re avoiding the most important things on your list (we ALL do this). In essence, this three-minute check-in can help you soar like a rock out of a slingshot–your productivity is the rock, and your intuition is the rubber band. Now go forth and fly!